While most people consider an ankle injury a sports-related injury, ankle injuries happen every day to average people, including in car accidents. These injuries can be significant and derail a person’s quality of life, in addition to being a strain on the bank account. Severity of the ankle injury. It should go without saying that the more severe your ankle injury, the more you will likely receive in a settlement. A fractured ankle that leaves you with a permanent limp, for example, is more valuable than a sprained ankle. Strength of your medical records. Medical records are perhaps the most important piece of physical evidence in a personal injury case. Seeking medical attention immediately after an accident illustrates how serious the injury is and links the ailment directly to the accident. A lack of strong and clear medical records may signal to the insurance company that your claim is not as valuable as you think. Evidence of the other driver’s fault. It is always important to identify who was at fault for an accident. Strong evidence for proving fault includes a police report, witness statements, surveillance footage, and pictures of the accident scene. Your own fault. The degree of which you were at fault will determine how much compensation you can receive. 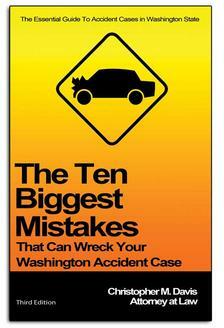 In Washington state if you were 25% at fault, you can receive up to 75% of the potential damages. Your behavior after the crash. Seeing a doctor soon after the crash and following a treatment plan shows that you took the right steps to heal and are serious about your recovery. Your degree of suffering. The more severe the ankle injury and the more suffering you experienced after the accident, the higher the settlement will generally be. By hiring a personal injury attorney to handle your case, you can focus on your recovery while the lawyer and their legal staff negotiate with the insurance company. Studies have shown that victims with an attorney receive on average 3.5 times more in settlement money than those without representation. Many people that suffer an ankle injury want to know about compensation and what the “average” settlement is. The reality is that there’s no true “average” amount that victims with this injury receive, as no one is keeping a tally of all payouts and verdicts across the country. Medical bills. Doctor’s visits, hospital stays, surgeries, rehab, etc., can be recovered in a settlement. Lost wages. If you missed time from work because of your ankle injury, or your job performance is permanently hindered by the injury, you can receive compensation for those damages. Property damage. If your vehicle was damaged in the accident, the insurance company should reimburse for the work to repair it. Pain and suffering. Severe ankle injuries can cause serious pain, which can be accounted for in a settlement payout or jury verdict. Emotional distress. It’s not uncommon for victims of a car accident to experience PTSD or other forms of mental trauma. Loss of enjoyment of life. Your ankle injury might cause you considerable pain and prevent you from participating in your favorite activities. Ankle injuries are serious, and recovering financially is the only way for victims to hold the at-fault driver accountable. At Davis Law Group, our attorneys have helped hundreds of victims get the compensation they deserve to cover medical bills and compensate them for non-tangible harms like pain and suffering. $125,000. Settlement for our client, a woman who suffered a broken right ankle, among other injuries, in a T-bone collision on the highway. $100,000. Settlement for a man who suffered two broken ankles in a crash. $88,000. Awarded by the jury in a case involving a compound ankle fracture in a bicycle accident. $75,000. Settlement for our client who suffered a severe broken left ankle injury (fracture, ligament tears) in a premises liability case. $50,000. Payout for a man who broke his foot and broke ankle in a motorcycle crash caused by a drunk driver. $25,000. Settlement for a victim with a high ankle sprain suffered while riding as a passenger in a car. As stated above, ankle injury settlements depend on a wide variety of factors. The victim’s age, health, status, insurance coverage and degree of fault all play a role in determining the settlement value. Don’t be fooled by sites that promote an “ankle injury compensation calculator.” Only an experienced personal injury lawyer with knowledge of your particular case can accurately predict what you may receive in settlement money. Insurance companies are notorious for offering lowball settlements for ankle injuries, and an attorney can present your claim in a convincing way that maximizes your compensation. Simply put, the ankle is where the foot and the leg meet. The main bones of the ankle region are the talus (in the foot), and the tibia and fibula (in the leg). The type of injury is defined by what type of tissue — bone, ligament or tendon — is damaged. Most ankle injuries are either a fracture, sprain or strain. Sprain. Occurs when you roll, twist or turn your ankle in an unnatural way. The action stretches or tears the bands of ligaments that hold the ankle bones together. Whenever those ligaments are pushed beyond their normal range of motion, it usually results in an ankle sprain. Strain. An ankle strain means that the muscles and/or tendons were affected, not the ligaments. While some people strain their ankle in a car accident, others may feel a strain doing normal activities. If you have been involved in a motor vehicle accident and have pain in your ankle, it’s best to receive medical treatment as soon as possible. Getting a full evaluation by a doctor is always a good idea after a crash. 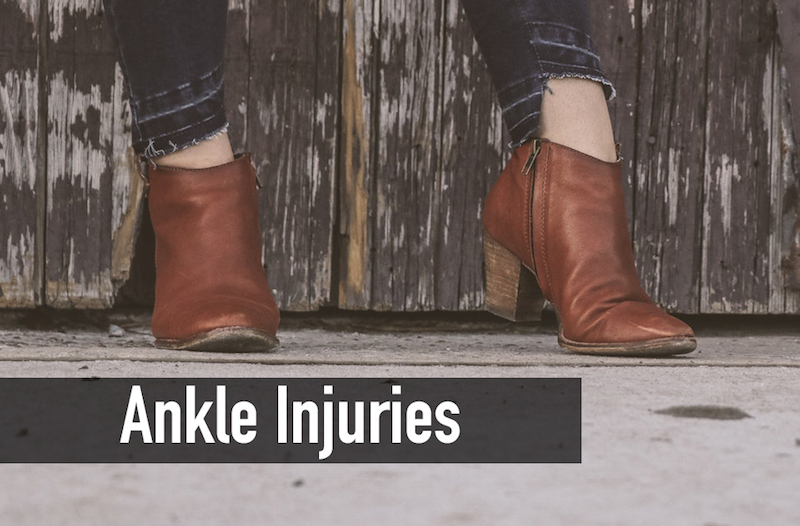 The symptoms of an ankle injury vary depending on the type of injury, and it’s best to see a doctor if you have any pain or swelling in your ankle. Grade I. Stretching or tearing of the ligament with minimal pain and swelling. Grade II. A larger but still incomplete tear of the ligament with moderate pain, bruising and swelling. Tender to the touch and painful to walk. Grade III. Complete tear of the ligament with severe swelling. The ankle feels wobbly and it’s usually not possible to walk. If you have an ankle injury, you can possibly determine if you’ve strained your ankle by testing the strength (putting weight on it). Both ankle sprains and strains can be acute (after a single trauma) or chronic (occur due to longer-term overuse). If you have any questions, it’s best to remember that every ankle injury should be evaluated by a physician. If you have sprained your ankle in a car accident, doctors recommended that you use the R.I.C.E. approach for the first couple days. Rest. Don’t exert yourself more than necessary, making an effort to stay off the ankle. Ice. Place ice or a cold pack on the injury for 15 to 20 minutes every 2-3 hours while you are awake. This can reduce swelling. Compression. Wrapping the ankle with an elastic bandage can also help reduce swelling and inflammation. Elevation. Keep your ankle above the level of your heart, especially at night, to reduce swelling. Gravity helps to drain excess fluid. Most over-the-counter pain relievers (ibuprofen, Motrin, Tylenol, Aleve, etc.) can help manage the pain of a sprained or strained ankle. If the pain persists and the swelling doesn’t go away, seek additional medical opinion. A doctor will prescribe various exercises once the pain and swelling is lessened enough. These exercises are mapped out in a way to restore the ankle’s range of motion, strength and stability. Regaining balance and stability are two of the most important benchmarks during the recovery process. In some cases, surgery is required to repair a badly sprained ankle. For ankle fractures, a doctor will likely place a splint on the ankle for a few days to two weeks while swelling goes down. After the swelling decreases, an orthopedic doctor may put a better-fitting cast on the ankle — or walking boot/cast — which can bear some weight. A badly broken ankle, where the fracture has dislocated the ankle, may require surgery. A compound fracture, where the bone breaks through the skin, will usually require surgery to clean up the area to reduce chances of infection. If you have suffered an ankle injury while on the job, your injuries and treatment may be paid for by the workers’ compensation carrier. Workers’ comp claims are different from personal injury cases, and if no surgery was required and the ankle injury is relatively minor, it may be difficult to receive a large compensation payment. If your ankle injury was caused by the negligence of another person or party, you have the right to seek compensation for damages through the civil justice system. For assistance with your case, you may benefit from consulting with a personal injury attorney that handles car accident cases. For a free case evaluation with the legal team at Seattle-based Davis Law Group, call (206) 727-4000, use the chat feature below or fill out the form on this page. Consultations are free. It’s important that you are aware of the insurance and legal issues regarding your case and how to proceed.